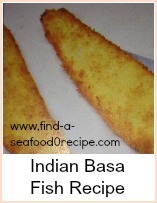 Here is a grilled basa fish recipe. The salsa is an interesting mexican style one. I love salad but get very bored eating big pieces of cucumber, tomato, onion etc - I ALWAYS dice my salad vegetables and keep a bowl in the fridge ready to put on the side of many dishes. There's also a handy tip for making the dressing for the salsa. The cooking time will depend on the thickness of the fillet. 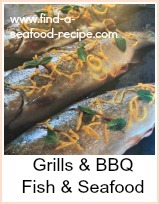 A simple way to tell, is if the fish is firm to the touch and looks 'flaky'. Watch your fingers - the grilled basa will be hot! 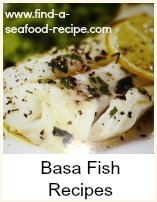 Heat your grill (or barbecue) and brush the basa fish with olive oil - season with salt and pepper and cook 3 or 4 minutes either side - baste and season as you turn. Meanwhile, take the olive oil, white wine vinegar and mustard and put into a glass jar with a lid - shake until thoroughly combined. This is an excellent way of making salad dressing. You can use the jar to store it in the fridge - just give it a shake before you want to use it as the oil will separate. Pour over the chopped vegetables and serve with the grilled fish. Some plain potatoes and a salad would go well with this dish. 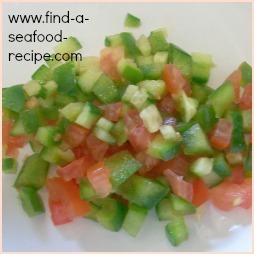 As with most fish recipes, you can substitute any fish you prefer or whatever looks good on the day you go to buy it. 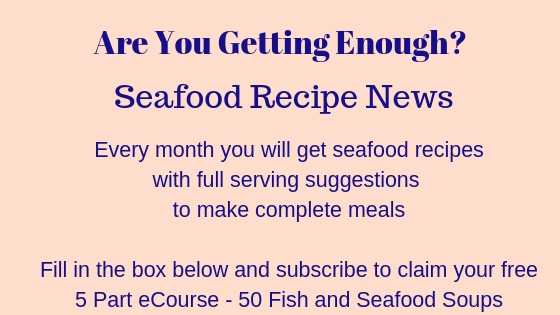 Cod, haddock, pollack, whiting would all substitute for the basa - or try mahi mahi, tilapia, swordfish - anything you like.